Just a little note to let you know that a couple of my mini comics are now out of print. 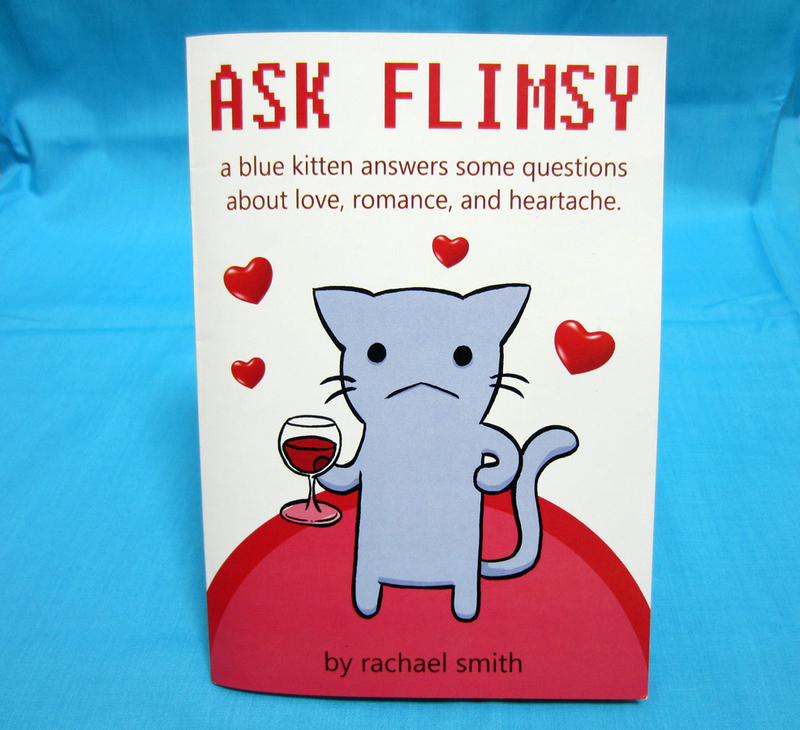 'Ask Flimsy' is now officially sold out! There may be a few knocking around a few comic shops that haven't sold yet - but I am all out so have taken them off of my shop. The plan was to only print 300 of these as a limited edition and they've all gone in 9 months which I think is pretty good - so thanks guys! Also, I've decided to retire my 'The Way We Write' mini comic. 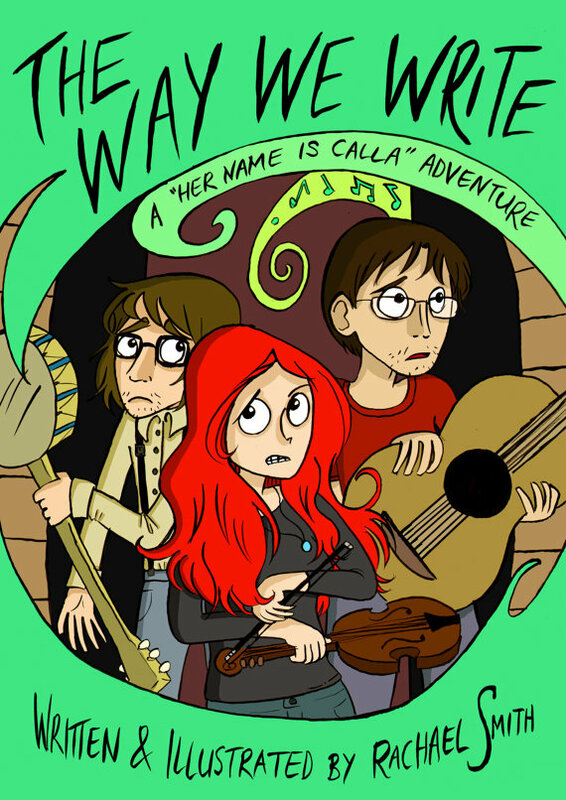 I love this book, but it was the first comic I ever did (it was first published in 2012), and I feel like I can draw and tell stories a lot better now. If people are going to read my stuff I'd prefer them to read my newest stuff, y'know? Again, there might be a few still available from shops, but I am all out and not getting them reprinted. I do a have a few stories in my brain for new mini comics like this one which I hope to work on in the coming months. There might be a chance you'll see Chris from 'I Am Fire' and Siobhan from 'House Party' in their own little adventure...maybe. Don't hate me if this doesn't happen. If, somehow, you've avoided me going on about it - I have a new graphic novel coming out in ONE WEEK'S TIME called The Rabbit - which you can preorder HERE. 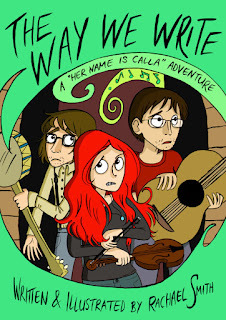 I also have a childrens' graphic novel that I illustrated coming out in November called 'Blue Bottle Mystery', which will be available through Jessica Kingsley Publishers in a couple of months. Thanks for all the support, you guys. Oops! I totally missed telling you guys about last month's Doctor Who strip! It's a good one too - it's still available in Doctor Who: Tenth Doctor issue 13, published by Titan Comics. 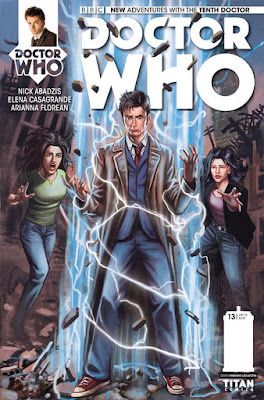 You can get the Tenth Doctor series from all good comic shops, or direct from Titan's website HERE. 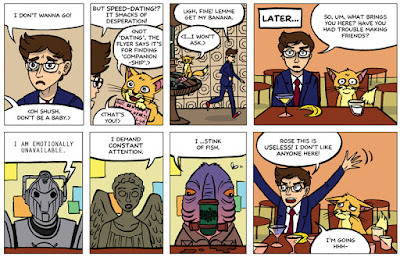 My 11th Doctor Who strip is available today in Doctor Who: Tenth Doctor issue #14, published by Titan Comics. 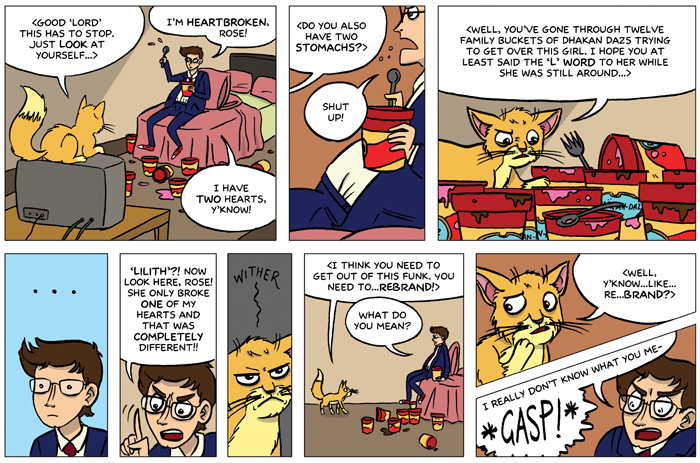 This one's about re-branding/regeneration - and whether either would mend Docco's broken heart (awww). 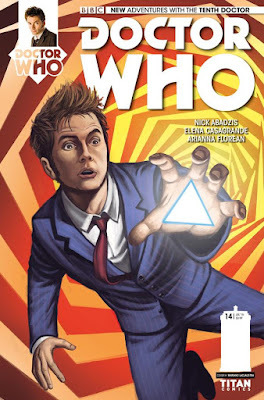 The Doctor Who: Tenth Doctor comic series is available in all good comic shops, as well as online direct from Titan Comics. Moosekid #2 is out now! 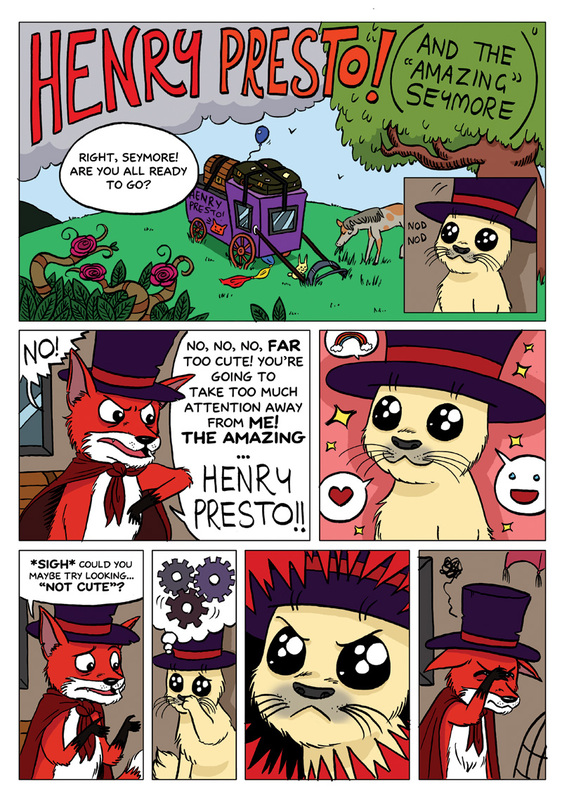 I have a comic strip in it called 'The Amazing Seymore' which is about a baby harp seal who does magic. IT'S ADORABLE GUYS! 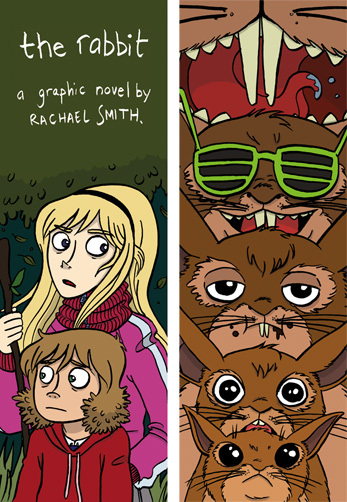 You'll be able to read issues 1 & 2 for free (I have a strip in both!). There's also an exclusive bonus 4 page Seymore comic - I'm so good to you! 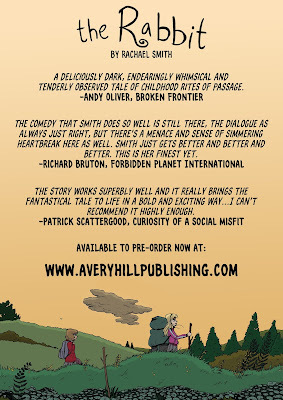 You can now pre-order my new book 'The Rabbit' from the Avery Hill Publishing store! There's a more detailed post about all the goings-on surrounding the release here.